One of my favorite things about Christmas time is most definitely the decorations. It’s so fun to drive around and look at all of the outdoor lights and decorations that people so lovingly display, and even better to walk into a friend or family member’s home and see their interpretation of the holiday season exhibited throughout. Decorating for Christmas doesn’t need to be all about the traditional reds and greens these days, and sometimes some of the best Christmas decorating ideas are based entirely upon feelings, thoughts or memories that have nothing to do with the colors we normally think about during the holidays. If you are having trouble coming up with your own unique style this Christmas, or you would simply like to change things up a little, here are some Christmas decorating ideas that are certain to provide inspiration. Repetition is essential when decorating, regardless of the season, but choosing to use repetition with your holiday decorating can really make a huge impact. Collect snowmen, angels, or other Christmas themed characters, and display them in groups throughout your home. Wreaths aren’t just for the front door anymore! 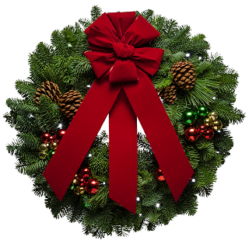 Wreaths and natural or artificial greenery can really spice up a homes decor during the holidays. Hang them on all the doors throughout your home, above doorways and mantles, and use greenery to decorate the tops of your windows as well. Holiday themed blankets, pillows and throw rugs are a wonderful way to add some holiday spirit to your home this Christmas. If you’d rather not display holiday printed items, consider colors or trims instead. Dress up everyday items with gold or silver covers for a less expensive transformation, and save your cash for gift shopping! Ornaments don’t have to be confined to the Christmas tree. Place colorful glass ornaments in decorative bowls, hang ornaments from lighting fixtures, or place tiny ornaments on your houseplants for an added touch. from mirrors and existing wall hangings. Purchase artificial poinsettia flowers and place them in unique places throughout your home. These make really fun tree ornaments as well. Forget the generic looking plain Christmas stockings this year. Add personalized stockings to your mantle instead. Get the kids together and make decorations this holiday season! While younger kids might enjoy cutting out snowflakes or coloring holiday pictures for display in your windows, the older bunch might have more fun with glitter, paint and items like sticks, clothes pins, or pine cones for their holiday craft adventure. The sky is the limit this Christmas, when you hang snowflakes, colorful beads or other unique decorations directly from your ceiling. Spice up your outdoor decor when you add large ornaments to trees and shrubbery this holiday season. Do you have some unique Christmas decorating ideas you would like to share with us? Do you typically purchase new decorations each year, reuse your old ones, or make them homemade? Tell us about your Christmas decorating adventures- we love to hear from you!